Dental Malpractice generally refers to an injury caused by a negligent dentist. Any kind of negligence or poor quality dentistry can be defined as dentist malpractice, which could result in a dental malpractice lawsuit. Dental malpractice lawyers can determine whether you have a dental malpractice claim. Send your Dental Malpractice claim to a lawyer who will review your claim at NO COST or obligation. 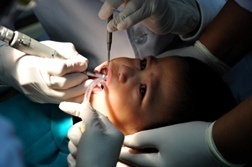 Negligence and malpractice occur in the dental profession as well as in any other profession. According to the National Practitioner Data Bank, one out of every seven medical malpractice cases directly involved a dental professional in 2006. Dental malpractice can occur if a dentist fails to diagnose or treat possible conditions such as oral cancer or other serious problems; delays diagnosis or treatment of oral disease or other precarious oral conditions; and any intentional misconduct on the dental professional's part. Dental malpractice cases typically fall under malpractice law. As with medical malpractice claims, you must demonstrate that your injury is more than short-term pain. 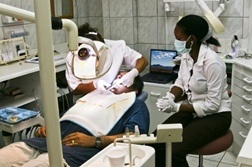 If you can prove that the dental care provider (including dental assistant, dental hygienist, oral surgeon ) unintentionally or intentionally committed an act that no other reasonable prudent oral healthcare provider would have committed during the same time period, and that act must have caused significant injury, a dental malpractice attorney may help you recover considerable compensation if the case were to go to trial. If you required expensive emergency surgery to correct what the dentist did wrong, if you missed a significant amount of work, or if you suffered permanent loss of sensation, or disfigurement along with pain and suffering, the dentist's malpractice insurance should allow you a fair settlement. As well, an unethical dentist or dental professional may try to benefit financially by proceeding with unnecessary diagnosis and exams, follow through with their corresponding procedures, and either bill you for unnecessary procedures and/or collect higher insurance compensation. Dental malpractice lawsuits can also include dental product liability claims, including silicone implants and dental lasers and legal malpractice claims based on underlying dental malpractice. 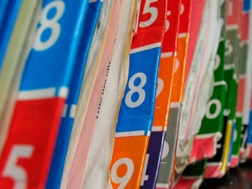 Obtain a copy of all your dental records, including information that may be on the computer, such as your account history. It is also important that all x-rays be duplicated and obtained (there may be a charge), as well as progress notes, copies of prescriptions, copies of referral slips, etc. Your dental records, x-rays, and models belong to you and a health care provider is required by law to give you copies of your records. Dental malpractice attorneys advise that you tell the provider you want your records for a second opinion dentist or to make sure that future dental providers are accurately informed about past dental history, to ensure that you obtain all records. Document every event in a journal; it will help remind you of events and symptoms that occurred. The more evidence you have, the more credibility your dental malpractice claim has. There is a statute of limitations to file a dental malpractice claim, which varies from state to state. Some states also have tort claim statutes that require formal notification of a public hospital or government-employed healthcare provider regarding your claim within a very short period of time, sometimes as short as 180 days after treatment ends or after the suspected injury. 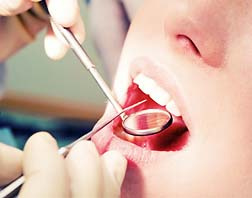 Consult a qualified dental malpractice attorney regarding statutes. If you believe that you suffered quantifiable damages as a result of negligence by a dentist, you may have grounds for a dental malpractice lawsuit. You should consult a qualified attorney who specializes in personal liability cases, and particularly in dental malpractice. Dental Malpractice: How Can Three Become Sixteen? My front tooth chipped during The slim for invisiline, an I didn't noticed it because he put my tray on and I left the place when I csmr home st night I noticed the chip. I'm pretty nervous about it I was wondering can I take a legal step for? I had 4 of my wisdom teeth taken out. I complained about numbness in my lower jaw. After a month of the surgery, I went to see the surgeon and they did an X-ray. The X-ray showed I have a piece of my tooth left in the gum. I spoke to the surgeon why he said that he did not want to move my nerve. I am already suffering numbness that caused my nerve moved. I just need help in regards to this matter. For years, I have gone to the same dentist. 2 of my upper teeth were giving me problems so I had them pulled. I was then given a partial (at the time I couldn't afford implants). All of my upper teeth rotted away or were fractured. One by one they were either removed or I got a root canal. On every tooth that my dentist gave me a root canal, the crown fell off within months. I went to my dentist consistently. I got my teeth cleaned every 3 months etc... Now left with 2 upper teeth, I went for an implant consultation. The dentist couldn't believe what he saw. The partial was way too tight. He told me that this is the reason why I have suffering with fractured and decaying upper teeth. I had endodontic treatment one tooth in dentist A in 2006. In 2007, I visited dentist B to made post-crown on this tooth. In 2012, I visited dentist C and dentist C found an inflammation of the apical this tooth, but i did not have any treatment for this inflamation. And in 2016, the inflammation become acute in the tooth having post-crown. Can I sue dentist B who made post-crown for me? I recently had surgery on Nov. 7th too get 4 wisdom teeth removed. During the procedure one of my teeth was stuck in the bone so it took the dentist literally and hour an a half too pull one tooth and I also needed stitches after that tooth was pulled . I was not fully sedated as I felt all my teeth being removed! During the procedure somehow the dentist scarred the outside of my mouth PRETTY badly where it left me with a scar for life and also my chin and part of my gums are numb as well as I cannot feel anything on certain teeth towards the left side of my mouth and today is November 28th so I know I'm probably going too suffer from this numbness and it hurts my feelings because I have speech impairment trying too get use to this numbness and talk regularly. Wish I knew who could help me in the Toledo, Ohio area! On 2/5/16, my dentist tried to perform a root canal on back upper molar while working simultaneously working on another patient. He was rushing between the two of us. The novocaine injections were hard, numerous and rapid fire. He hit a nerve which was excruciating and I started to cry. He said " don't be a baby!". He then pierced the nasal cavity with bleach. My jaw and ear were on FIRE! I began screaming. He them left me screaming to work on the other patient. After 5 minutes of screaming, he came back, took dental dam off and said you have to get to ER at on e!!!! No one called 911 or offered to drive me. I called a friend who drove me to ER. I was admitted to ICU for 5 days. My upper palet split open from swelling and I now have constant pain in my jaw. My dentist has done a lot of damage to all my teeth - can you please guide me. My way wife was advised, by a local dentist in San Diego,that she needed a 2 root canals & 3 crowns. This was approximately 2 months about. Initially she had 2 temporary filings & a temporary Molar. After the procedure she was in pain. The dentist did not even offer pain medication until my wife requested it. After about 2 weeks the crown came in. Durning the next appointment, after the crowns came in, the molar & crown did not fit correctlly (Isn't it the dentist't responsible to ensure the crown fits correctly)? They than put in a temporary Crown in which fell on the 3rd day. We now have to make,still another appointment, to have this temporary crown to be fixed. This one fell out well she was brushing her teeth. Currently I have paid $3,500 for this messed up procedure & have no time when the malar, or crown will be fixed. In addition we did obtain a second option from a excellent long term Denist. He was kind enough to do a complete set of x-rays & a consultation. His response was that he would have not done it this way but to follow through. This response is a back around way saying that the procedure was not done correctly. Please advise on what our next steps should be? Thanks for your consideration. I had two lower teeth extracted about four months ago by an oral surgeon who has pulled teeth for me before . This time I felt the second needle of novacaine go j to my nerve and jumped !!! The surgeon drilled and chipped the teeth out . Ever since then I have mental nerve injury and cannot feel my lips lower jaw par of my tongue . It is not getting better . I am being treated now by a neurologist . To me fine thing went terribly wrong here. Has this ever happened to anyone else out there ? Dentist hit my nerve and now I have a lower numbness in my chin and in my bottom lip and he's not doing anything to fix it said it will eventually go away! I bought into what they call a snap on dentitia for my bottom teeth which had to be pulled. I do have TMJ. It serves the purpose but I have to have the rubber bumpers swapped ou tevery so many months because of taking it in and out for hygeine purposes. Several months ago the dentist told me now "they are saying that the groove on the end of the implant" which the mouthpiece snaps onto" tends to wear and will present a problem, that the mouthpiece will not snap on anymore. This was a $10,000.00 adventure delving into my retirement money. Why do any of these companies get an einstein idea to sell to the public without testing every aspect of what they sell off to dental offices? I know it goes on in every aspect, all about making money, but Whatever the solution is I do not have funds to pay for something I have already paid for. They call it the 4 on one. I am now retired and I need to know if others have reported this and if there are any class action suits because of it. My wife went to dentist in which I recomended, I've been to their office in past and felt work performed was very good and explained clearly. We know that the damage is done now but it was not nessesary and now work must be completed just to have normal smile again. Very very upset about how a dentist can destroy something that someone worked so hard to have what they had in one visit. Can't go back to what was. But another alternative could have been such as a partial for the space/gap or two small bridges which ever but feel that all of teeth did not have to be destroyed for purpose served. And yes it was expensive and no it was not nessary to do (again no cavities not even space or gap in front two teeth) she had a very normal smile just missing two teeth on sides (remind you. Six across front)now nothing just nubs to attach new bridge and in pain due to proceedure performed. This was a voluntary procedure no accident accured to necitate the removal/grind down of other teeth. The dentist should have been more clear about work to be performed before doing so. She(my wife)would not have had gone through this unessisary proceedure had it been clearly explained. Now she is stuck completing with full bridge that wasn't needed. Is there anything that we can do to make this kind of thing NOT happen to anybody else? SO I SAY TO ANYONE. ASK FOR VERY CLEAR INSTRUCTIONS AS TO WHAT WILL BE DONE AND IS THERE ANY OTHER OPTIONS AVAILABLE!!! Hi- I had my teeth removed on May 4, 2015. I developed an infection in my lower gums--the pain got worse and the dentist said she could not do anything about that. I went to see another dentist because I knew something was wrong. I developed osteomyelitis (infection in bone). The new dentist sent me to the ER and I had to spend a week in the hospital. Since then, I had to have 2 more jaw surgeries and this Wed. 2-3-2016 I have to have yet another surgery. If this does not work I will need to have a bone transplant. I have had consults with lawyers and no-one will take my cause. They said dentistry is a hard cause to fight . I am 61 years old and on disability--the bills are piling up and I am a wreck with worry and my depression is getting worse everyday as is the pain. Is there ANYTHING I can do to get compensation from the dentist who caused this problem ?? I posted yesterday. I now have a pea-sized ball underneath my tongue, on the place where the initial dentist applied the needle to numb me. I visited my orthodontist today for a checkup on my expander. He was very concerned and told me that if the steroids and penicillin prescribed to me don't improve this in a day or two that I need to take this very serious. Again, more complications and stress from this botched/mismanaged root canal. I've been going to a corporate chain dentist for 2 years now. Slowly but surely, I've been getting my smile together. My next step was to get braces to straighten my teeth. My dentist took xrays and sent the ok(with apparently a half-heartedly filled out periodontal chart). I went to my orthodontist, who I was referred to by my dentist. After my orthodontic initial consultation, my orthodontist had a concern about a certain tooth possibly needing a root canal, so I was referred to a periodontal Dr. Of course, it was found that I needed a root canal. Here's where the issue begins: Yesterday, I show up for a scheduled appointment with my dentist to take care of this tooth. I come with xray in hand and the Dr(a new person, apparently the old one left the company), agrees that no xray is needed and that I indeed need a root canal, which we will start right away. 2 hours later of digging in my mouth and at least 8 xrays, I am told that she doesn't have the proper tool to get the remainder of the "material" out. I am referred to an endodontic Dr. I ask the Dr that was performing the root canal if it was ok if I didn't make the appointment right away because yesterday was actually my last day of vacation, and I had to return to work today. She said this was not an issue at all, and that my root canal is sealed off and to just call when I see the endodontic Dr so that we can get my crown on. No further instructions! Needless to say, as the night went on, the pain started getting worse and there was major swelling where the needles went in. My fiance had to drive to the store at 4 am to buy Advil, even though she insisted taking me to the hospital. I refused because I had to return to work. Thankfully after taking the Advil I was able to sleep a couple hours before work. I thankfully was able to cover my store(I am the manager) so that I could see the endodontic Dr today. He informed me that only 1 of the canals had been dealt with. He proceeded to drain the puss out of my gum and complete the root canal. Thanks to his knowledge and expertise for saving me, last night was the worst pain I've ever felt. I actually walked into the endodontic Dr today afraid. That's not me but yesterday really escalated quickly and it scared the crap out of me. The endodontic Dr prescribed me methylprednisolone, penicillin, ibuprofen and hydrocodone. My son had pain on his back lower right side of his mouth. His father took him to the dentist and they pulled 2 adolescent teeth on the top right side of his mouth. Needless to say they took the wrong teeth out because he is still in excruciating pain...still in the spot that he had originally gone in for. And now I have to take him to a different dentist to get it corrected. please call me I have some questions about a dentist damage my kid and they not going to fix the problem. Dentist looked at x ray black aera in front tooth , saying the tooth is not sealed,and may have decay. This tooth had a crown on for 20 years but felt ok had no flair up or infection on tooth . Dentist removed crown of 20 years and I asked him , is there decay and he responded not really he ground away with his grinding tool pushing hard for a tooth with no decay.Then he took a mold of the remaining tooth and sent it to the lab to generate a crown. 3 weeks later he cemented the crown on top of my tooth.I was feeling discomfort from the tooth when I ate hot and cold food and I feel my pulse in my tooth and it tingels .So I went back to get a larger one fitted he said yea the new crown is shorter than the original one he removed it and he order me a tighter fit from the lab.He put another temporary tooth on my tooth but I still felt my pulse after 3 weeks .He did not suggest I go for root canal or take an ex ray if the nerve was damaged . Did a crappy job, now my bite is all screwed up. I have bruxism that's causing serious gumline recession and decay.